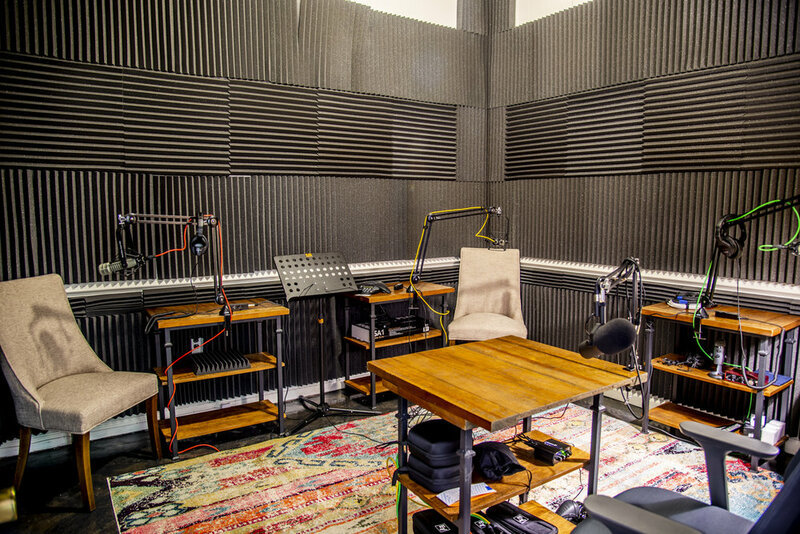 The Studio by Canvas is your private recording studio to capture your stories, ideas, strategies, ideas. Fully equipped to handle up to four narrators and a producer. Can be used for those seeking simply to tell their story, or as a complement to the other Canvas spaces to record agreements made, debates held, or sharing difficult discussions. Those sound reflecting walls have heard some of the toughest recorded conversations and powerful stories. You get to add those of your team. Interesting in learning more or hearing sound samples?